April 4, 2018, Ankara: The picture that the theocracy wants the world to see; Hassan Rouhani, confident, firm and polished, away from the domestic cacophony. Far from the Syrian town of Douma, with its rubble and miseries, the men discussed Syria and their protégé, Bashar Al-Assad, absent from the meeting. 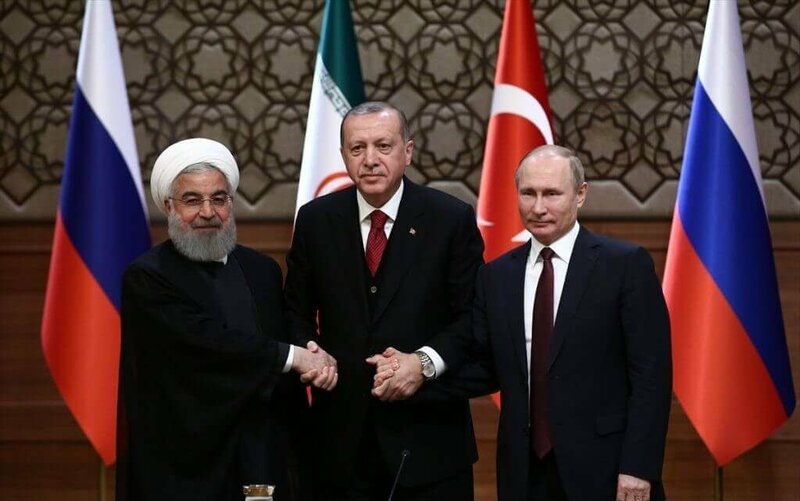 The picture of the Iranian president in Turkey, gleefully shaking R. Erdogan and V. Putin by the hand, shows a sleek H. Rouhani in front of an immaculately pressed flag of Iran. This is the Iran that the theocracy wants the world to see: confident, firm and polished. 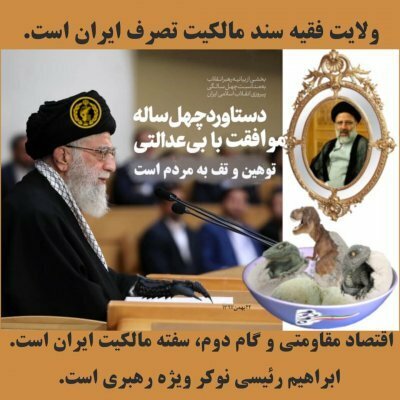 Further, if in a moment of aberration, one with a sound mind reads a full speech of the Leader, Ali Khamenei, one might believe that Iran is more powerful than the USA, China and Russia combined. For the Supreme Guide, the Islamic Order (Nezam-Eslami – نظام اسلامی) beats the trio of superpowers in military, social organisation, economy and geostrategy. In the mouth of the Leader, “Islamic” clearly refers only to Shiite beliefs, excluding all other schools of Islam. The Shiite theocracy has segregating and persecuting Sunnites, Baha’is and Darvishis since 1979. The Leader’s use of the word Nezam is insidious. Its Arabic origin is Nazm نظم, order, used in Farsi to note pupils’ behaviour and tidiness at school. However, Nezam نظام has a martial flavour, reminding one of the army and soldierly single-mindedness. The ideology of the Iranian ayatollahs is based on the combination of religion, military and geostrategy, as they attempt to reorganise the Middle East under their hegemony. However, the theocracy’s failures on the domestic scene gain momentum and the population’s discontent grows louder. For them, the theocracy’s rhetoric is nothing more than empty words. 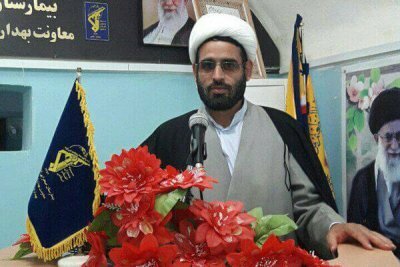 Therefore, the ayatollahs use a more military language and preach next to the flag of the IRGC, thus giving a plain antagonistic response to the demands from the #IranProtests. In their mindset, protesters are active elements of foreign enemies and the only response is to take tough measures to crack down on these criminals. Nonetheless, even if the protesters were to be erased from the domestic scene, the crisis created by mismanagement, greed and corruption will not disappear into thin air. The domestic political scene has become a cacophony in which the sycophants of the regime add their voices to the din of the noises that already fill the public space. The Leader’s flunkies, with or without a turban, vocalise arbitrary views beyond their functions on the issues needing specialised skills and proficiency to solve. A PhD in the nth interpretations of the Koran written by a psycho-rigid cleric is a poor background for solving the country’s problems. The statements from the ayatollahs and their minions in addressing the social and political problems reflect forlorn ipse dixit approaches in which enlightened reasoning is absent. From the filtering of the Internet Halal and Telegram to the value of the rial against the USD, from the dismissal of Tehran’s mayor to the backing of the Iranian economy by buying home-produced goods, everyone has an opinion on how things should be done. The result is a total cacophony, and nobody is the wiser about what is happening or is likely to happen in the months to come. To a large extent vultures are tearing each other to pieces, good riddance. But who would pick at the carcass of the country later? The Iranian diaspora? or they are dusting off and bickering about the old and sterile conspiracy theories?